Carla Roncoli is Adjunct Faculty of Anthropology and Associate Director for the Masters’ in Development Practice at Emory University. Before joining Emory University in February 2010, Dr. Roncoli was Associate Research Scientist at the University of Georgia, where she worked for 15 years with interdisciplinary applied research projects on the human dimension of climate change. Her work centers on extensive community-based research to gain direct insights on how vulnerable households perceive and manage multiple stresses and how they allocate their scarce resources to alternative livelihood goals. 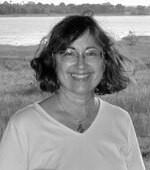 Between 1998 and 2007, with funding from NOAA’s Climate Program Office, Dr. Roncoli spearheaded the Climate Forecasting and Agricultural Resources (CFAR) project, an interdisciplinary research project that assessed the role of seasonal rainfall forecasts in agricultural decision making among farmers and pastoralists of three agro-ecological zones of the Sudan-Sahel region (Burkina Faso). This project demonstrated that participatory approaches to forecast dissemination, such as farmer workshops, contributed to higher levels of understanding and use of the information. The CFAR research was pushed further by another study conducted among farmers in southern Uganda (Rakai district) and based on Dr. Roncoli’s collaboration with other CRED researchers, especially Prof. Ben Orlove. Carried about between 2005 and 2008, this investigation specifically examined the way group dynamics during farmers discussions of seasonal rainfall forecasts shaped the collective understandings and deliberations that emerged. An in-depth analysis of discussion transcripts revealed how different meanings and practices of participation are shaped by the cultural and political context and how those may be deployed by participants in the pursuit of different agendas and goals. Ethnographic research and interview data also illuminated how indigenous forecasting knowledge is a composite dimension that draws from multiple sources and that can, therefore, assimilate scientific information. A second phase of the CRED bring this focus on collective management under climate uncertainty back to Burkina Faso, building on Dr. Roncoli’s long-term engagement in community-based research and institutional partnerships in one of the poorest countries in the world. This new study (2010-2012) centers on water allocation decisions in a context defined by declining water availability due to climate change, conflicts among multiple stakeholders with different levels of information and power, and policy reforms that promote decentralized governance and integrated water resource management (IWRM). A first goal of this research is to understand how the different stakeholders’ perceptions, valuations, and uncertainties related to water affect their engagement in the new decentralized governance bodies. A second goal is to identify information that can contributed to more efficient, equitable, and sustainable water management decisions and to determine the optimal ways of communicating such information to stakeholders.